New Swimline 9164 Swimming Pool Floating Ping Pong Table Tennis Game w/PaddlesCategory: Floating GameWe are an authorized Swimline dealer! Provides great action inside and out of the pool! Ping pong table is 54" x 27". It has a soft foam table and a hard surface top. 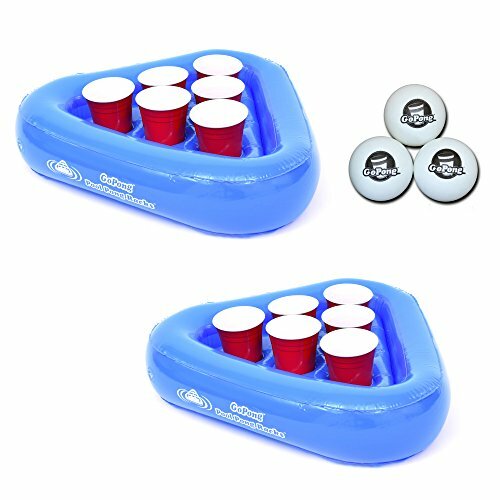 This comes with 2 oversized floating paddles, and 2 regulation size ping pong balls. The heavy duty net with supports ensures durability and long lasting fun! Easy to assemble! Family owned and operated, Swimline Corp. has grown to be the largest manufacturer of above-ground swimming pool liners in the world. Swimline's products include an array of leisure pool supplies and equipment with everything from inflatable tubes and loungers to floating lights and pool organizers. If you're looking for products that combine fun with water, you've found it at Swimline. Swimline Tall-Boy Floating Basketball Game for Swimming PoolsCategory: Floating GameThe Swimline Tall Boy Floating Basketball is an enthusiastic game that will increase the level of fun in the pool. It combines the fun of basketball along with the excitement of playing a game in the pool. This water basketball has a net made of premium quality materials that is durable and will not tear easily. 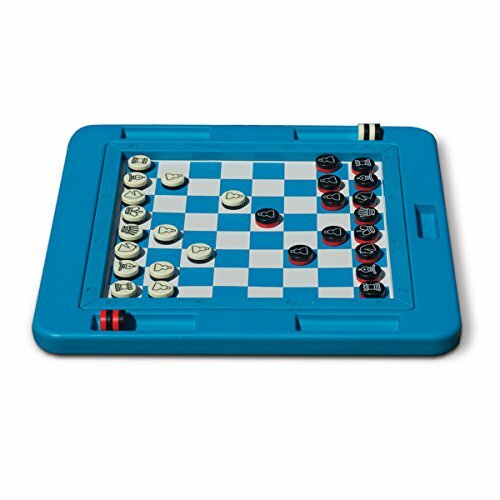 Its frame is sturdy and durable owing to its premium quality materials construction. The hoop frame has polyfoam floats that prevent it from getting weighed down in the pool. The Tall Boy Floating Basketball by Swimline includes a basketball that is inflatable allowing easy storage and portability. GAME Giant Inflatable Ride-On Rainbow Alicorn Unicorn Pool Float w/ Cup HoldersCategory: Floating GameJump on your magical GAME Giant Inflatable Pegasus Unicorn Swimming Pool Float and float your worries away. Hold on tight to the built-in handles as your imagination takes you on a ride. This winged unicorn makes everyone's dreams come true. Made of durable vinyl, it is ready to fly for hours and hours of fun. The alicorn's generous seating holds up to 2 people or up to 300 pounds and is designed for maximum comfort. Turn your backyard in to a magical paradise with the GAME Giant Inflatable Alicorn Pool Float. It is sure to be the life of the party for all ages. 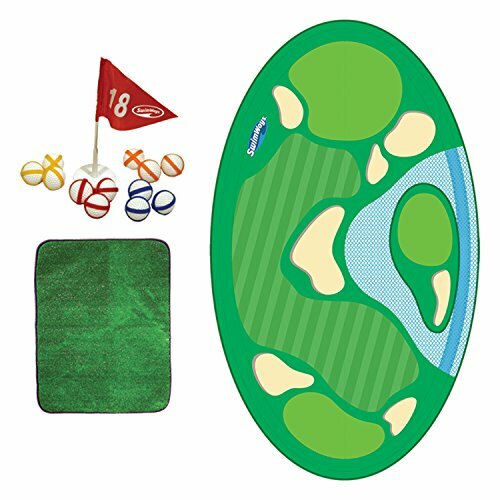 Poolmaster Hot Hoops Floating Basketball Game for Swimming PoolsCategory: Floating GameThe Poolmaster Hot Hoops Floating Basketball Game is perfect for any size pool. Kids will love this colorful basketball game. And unlike more expensive units, you can snap the pieces together and be ready for a game in minutes. Slam dunk contests will provide for hours of fun. Who will have the best trick? 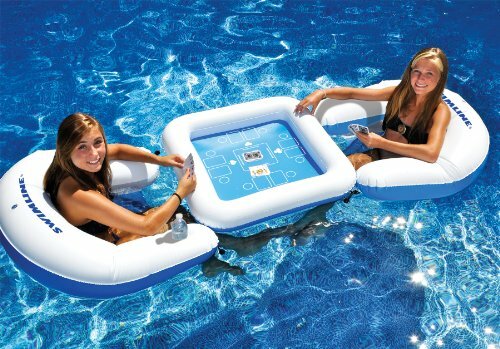 The only way to find out is with the Poolmaster Hot Hoops Floating Basketball Game. An added plus with a floating basketball game is there's never a need to get out of the pool and collect over-thrown balls. 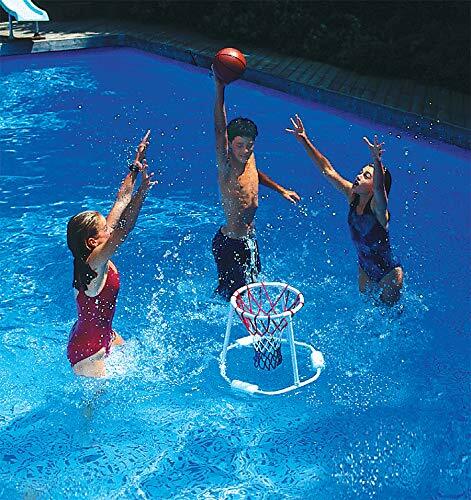 Spend less time chasing balls and more time shooting hoops with the Poolmaster Hot Hoops Floating Basketball Game. 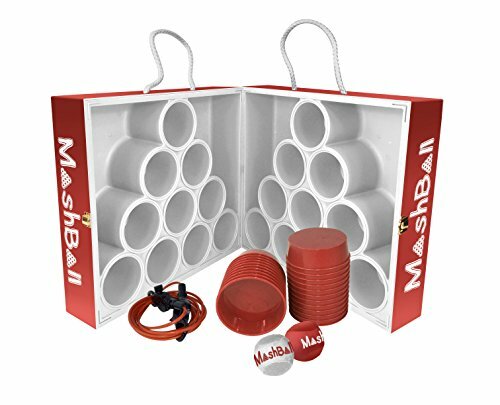 Included is a PVC game ball. 2) Swimline 9162 Swimming Pool Quality Floating Super Hoops Fun Basketball GamesCategory: Floating GameWe are an authorized Swimline dealer! Our best quality in-pool floating basketball game! 1 buy = 2 Basketball games! Swimline Super Hoops Floating Pool Basketball Game + Volleyball Game with BallsCategory: Floating GameThe Swimline Floating Pool Basketball Hoop is lightweight and portable, and the best part is that it presents a real challenge to players. Without a backboard or an anchor, players have to plan their shots ahead of time; it's always fun to play and to watch. Made from heavy-duty PVC for maximum strength and durability, it features fluted tubing and a durable net, which means you'll have a blast with this floating basketball hoop all season long. 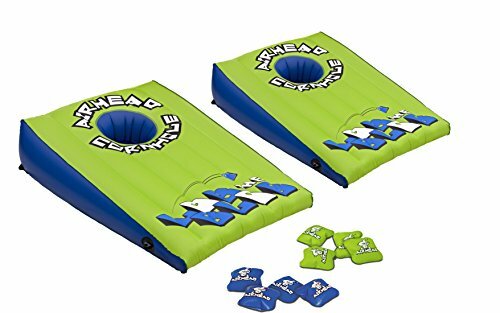 This Floating Pool Basketball Hoop will make a perfect addition to the pool or lake! We are an authorized Swimline dealer, and this hoop comes with a 30 Day Warranty against factory defects for your satisfaction guaranteed! 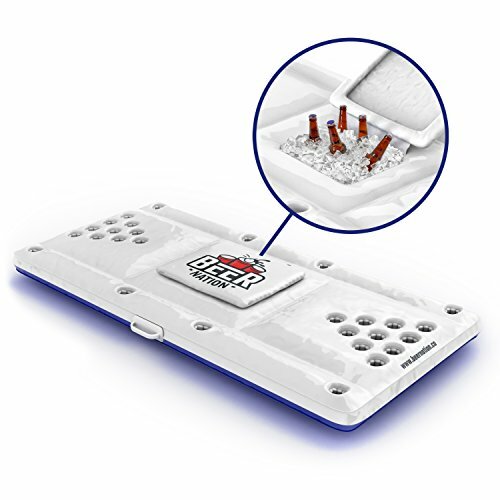 The Intex Floating Volleyball game is perfect spike your way to summer fun! The inflatable poles have grommets on the bottom allowing you to attach weights and keep the net in place and yet easy to deflate for storage. Melissa & Doug Sunny Patch Undersea Treasure Hunt Pool Game with Floating Chest and 6 Treasure PiecesCategory: Floating GameSplash into the deep for an exciting underwater treasure hunt! Four coins and two giant gems are the "booty" in this swashbuckling pool adventure. Be the first to slot them into the floating treasure chest to win... or use the included game ideas to inspire hours of variety and fun. 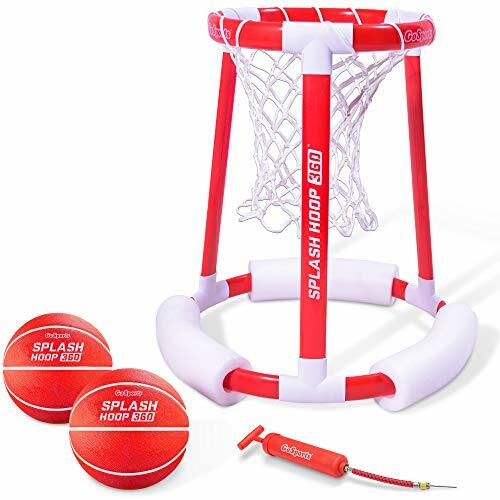 Swimline Super Hoops Floating Swimming Pool Basketball Game with Ball | 9162Category: Floating GameThe Swimline Floating Pool Basketball Hoop is lightweight and portable, and the best part is that it presents a real challenge to players. Without a backboard or an anchor, players have to plan their shots ahead of time; it's always fun to play and to watch. Made from heavy duty PVC for maximum strength and durability, it features fluted tubing and a durable net, which means you'll have a blast with this floating basketball hoop all season long.